What is a zine? Before there were blogs, there were zines. And before there were print-on-demand books, there were zines. 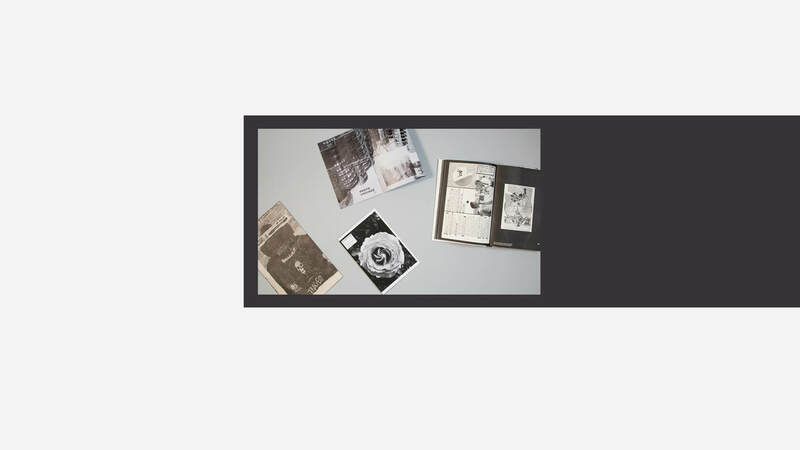 Zine making and publishing are the original way for ordinary people to—with the assistance of some cheap technology (i.e. the copy machine)—reproduce publications and get their ideas out into the world. Trying to define a zine is like trying to define a lot of things. It’s ultimately not very helpful, since no one will agree on a zine definition. The word, of course, is a truncation of “magazine”. It might be best described as punk rock publishing (and punks did make zines, though the idea predates them). To some, zine is an aesthetic. To others, it’s a format. But at it’s heart, it’s pure DIY self-publishing. 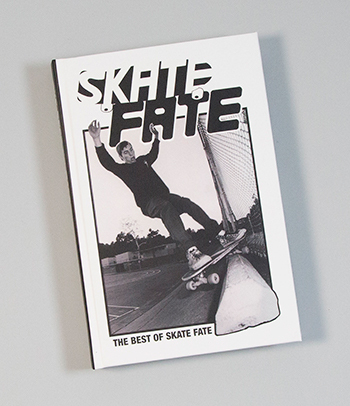 I was reminded of this recently when I came across The Best of Skate Fate by Garry Scott Davis in the Blurb Bookstore. Davis, better known as GSD, was a skate zine pioneer in the ‘80s and ‘90s—and likely the inventor of a maneuver called “the boneless”. He’s long since stopped publishing Skate Fate as a proper zine, but he’s meticulously scanned and assembled the best issues into a single volume. It might be best described as punk rock publishing (and punks did make zines, though the idea predates them). Of course, just because we have blogs and print-on-demand doesn’t mean that zine making has gone away. In fact, while they haven’t exactly gone anywhere, you could also say they’re making a comeback. Zine festivals are popping up around the world, from San Francisco to Melbourne. Perusing these festivals, you’ll find some zines of the copied and folded variety, and some printed by companies like Blurb. Some, like heavy-metal-jacket zine Endless Blockades, are printed up like newspapers. 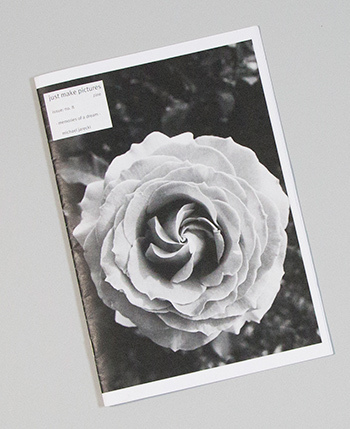 Purists will insist that it’s gotta be a truly DIY zine—it’s photocopied or it’s not a zine. While some see print-on-demand as being just another technological advancement, like that old photocopier. Artists’ aids such as screen tints and border tapes are a must for the designer who wants to create that tastefully trashy “new wave” look. That’s what I did. Inspired by GSD’s Skate Fate, I created a one-off publication using the traditional zine fold and a decidedly lo-fi (and toxic) printing method called “xylene transfer”. If you’ve never made a book with the zine fold, try it out. It kind of feels like magic (I won’t endorse xylene transfers because, well, they’re kind of toxic). 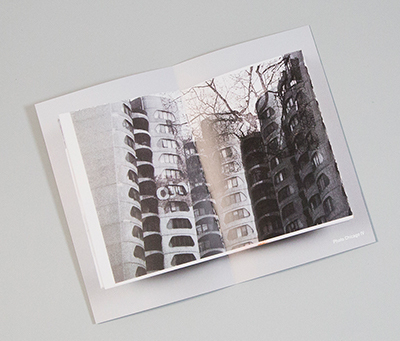 Before sending off this “edition of one” zine, I photographed it, and preserved it by creating a publication with our sister site MagCloud. I now have a limited and an unlimited edition. (Actually, I sent the limited edition to Dan Milnor, so now I only have the unlimited). Ultimately, these distinctions about DIY zine or POD—just like digital versus analog photography—aren’t that important. What’s important, as always, is just making stuff. Paste it. Scan it. Design it. Print it. Whatever. Just take a page from Thrasher magazine and design your publication to reflect the craziness, or calm—or whatever it is—around you. And enjoy the ride.